Apple celebrates its 10th year of innovation. It takes pride in introducing the new iPhone X, iPhone 8 and 8 Plus to the large masses in an event held at none other than the Apple Park headquartered at Cupertino, California. The event was auspiciously inspiring and opened up new gateways towards virtualization of reality in perfect surroundings. Prior to the recent Apple Keynote event held in September, another keynote event titled WWDC 2017 was held by the organization in the month of June. Here, Apple was compelled to introduce more lucrative products to the market such as the Apple Watch bands, 9.7 inch Tablets, iMac Pro, iPad Pro, WatchOS 4 and many more. During the launch of it’s latest technology design iPhone X, Tim Cook of Apple showed keen inclination towards adapting augmented reality as the “core technology” for the future apps. He disclosed his perception on the ideology during the conference of WWDC and introduced the ARKit, a platform to help developers create applications with AR compatibility. Augmented reality is the integration of digital information with the user’s environment in real time. Unlike virtual reality, which creates a totally artificial environment, augmented reality uses the existing environment and overlays new computer-generated or extracted real-world sensory input information on top of it. Using Immersive technologies, Augmented Reality applications give users a 2D/3D virtual experience in real time environments. It adds graphics and sounds to the natural world as it exists bringing virtual elements to life. How Does Apple Contributes to Augmented Reality (AR)? Apple recently is working on various technologies which can be incorporated with augmented reality including optical projection systems, handheld devices, monitors, HMDs, HUDs, eyeglasses and other display systems that can be worn on the human body. 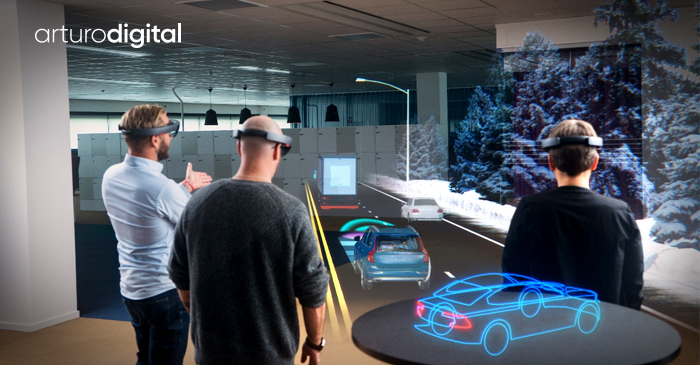 Contemporary augmented reality systems of today interact with their surrounding environments using incorporated tracking technologies such as digital cameras, optical sensors, GPS, solid state compasses, accelerometers, gyroscopes, RFIDs, etc. and Apple seek highest level of accuracy when it comes to AR compatibility. One of the most important element to master in AR products is the position, orientation and movement detection of the user’s head and using the new A11 Bionic chip, Apple has significantly mastered it with pioneering precision. How Augmented Reality (AR) is Significant for the Business World? The AR portrays itself as a significant solution for a wide range of market including retail/virtual shopping businesses, online mobile gaming, establishing customer engagements, perform effective training and much more beyond the mind can easily anticipate. Today, most business owners believe that AR will contribute itself as an element to build a successful brand loyalty among customers. Recommendations will become easier to present. Demos will help customers to make subtle decisions and the AR based applications will soar to help customers interact with the environment more freely. IKEA, is one of the many few focused towards the integration of AR. With the Apple’s new AR kit out on the shelf, many organizations are following the same trail as IKEA did. Such is the example of Pokemon GO, a game which gained immense popularity in the mobile world during its infancy. Being the first of its kind, it enabled users to map and interact with the surrounding environment using Augmented Reality. However, during the recent launch of iPhone X, Tim Cook revealed how AR is going to make unimaginable profits for entrepreneurs seeking to create multiplayer game environments. Such was the example of The Machine, a game that allows individuals to directly combat with one another in Augmented Reality environment using their iPhones. How Can your Business Benefit With Augmented Reality (AR)? One can find a number of ways of performing businesses and today, technological advancements create new pathways to becoming tremendously successful. Nevertheless, when it comes to versatility, AR probes modern millennials to wonder that their are better ways of enhancing day-to-day business operations. This promising technology holds many great promises for the future as it claims that it will enable a complete revamp of the way businesses are done. Let’s spotlight on some of the exclusive benefits AR brings to the modern business world. One of the many ways how AR can benefit businesses is how it enables geographically dispersed users to connect within a single environment. Workers located in remote areas can now easily interact with one another in real time environment as if they are actually present in the same room. As technology such as the iPhone X is gaining recognition, subtle elements such as the eye contact and facial expressions are becoming effortless to acquire. AR brings the internet from being contained on a screen to becoming part of the fabric of the world around us, which will benefit businesses with a physical presence. Days of the past have long gone, when employees were handed over lectures and manuals to learn and adapt with organizational settings. With AR, interactive experiences across multiple senses can now easily be enabled. Employees can have the opportunity to completely immerse themselves into complex processes and resolve them using a step-by-step approach. What more is that artificial characters can prompt instruction on tasks if one wanders away from the path. Incorporating such methodologies AR aims to increase the depth of training processes for organizations who are willing to adapt it. Online merchants love to showcase what they are selling on their store. Only if elements of AR gives an in depth view to customers, they can fully inspect the product before making a certain purchase. That’s what most ecommerce apps are opting for today. One such usability offered by modern AR apps allow users to place products within their respective home environment before proceeding on with the purchase. It helps customers polish their decision making capability and also judge what fit’s best to the environment. This creates obvious cost and complexity challenges, and a disconnect for consumers in terms of what a product will actually look like in their home. So What Basically Happens Behind the Screen? Augmented Reality allows overlaying of computer generated video over camera generated video to create CGI effects which appear as if virtual elements are actually located within the real world. The core process involves through a few components. The Camera – The Camera captures real-world footage and project it to the display where graphic algorithms help in registering virtual elements as per the application requirement. Reference Registration – It provides the computer a reference point using which the system defines where to position the virtual objects on the screen. Examples of registers are GPS, accelerometers, orientation sensors, and barometric sensors. Screen Vision – Screen vision helps with the interpretation of the footage and analyze how virtual objects can be integrated. Some AR CV is just relative placement over a registration mark, while more advanced algorithms can do shadows, occlusions and kinematics. Display – It helps in streaming all the information back to the user in graphical form. Smartphone displays may look like open portals, Laptops may look like windows and wearable displays may offer a whole immersive experience. The Camera captures the real life footage, while registration makes reference points to place virtual objects creating an overlaying screen. The application enable algorithms to work at the back end and hence the AR shoots a display on the device screen so you can result in having an ultimate Virtual Reality experience in real time. 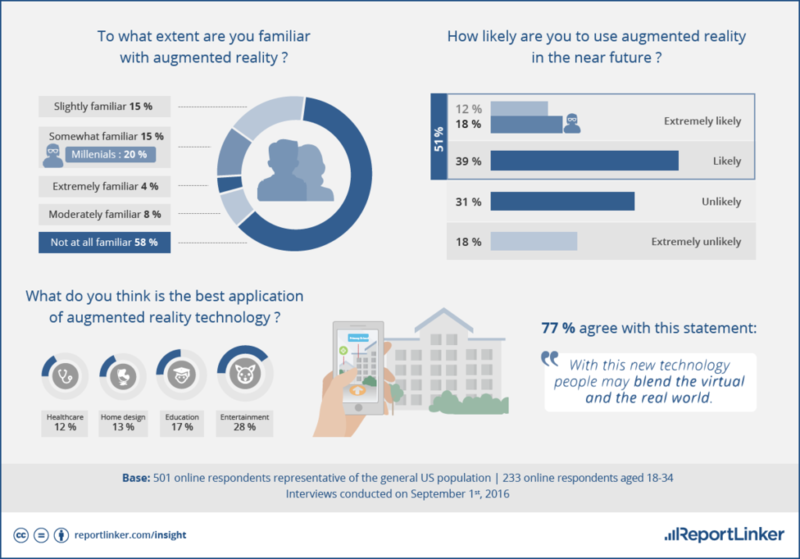 Are you Planning to Build an Augmented Reality Experience? Augmented Reality is altering our view towards the world. You could easily conduct meetings with members located in remote locations, you can run optimized demographics in real time so your clients can understand your vision more clearly. AR is a cost cutting solution of tomorrow. It has brought a handful number of retailers, cultural institutions, and charities to see impressive ROI benefits. Many software development agencies have emerged into the market and are offering similar solutions and such is the case with us. 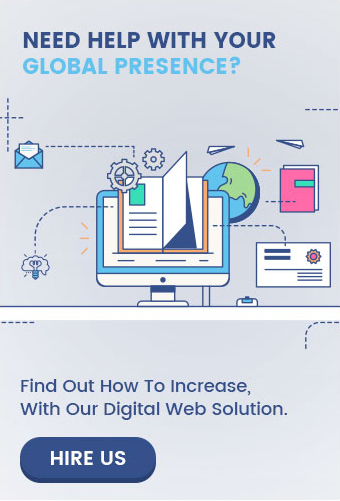 Arturo Digital is a software technology firm that focuses on creating impeccable website and mobile applications for customers around the world. Our experts are create eye captivating and alluring designs and make applications work best for your businesses. How would you like to discuss about augmented reality application for your business? 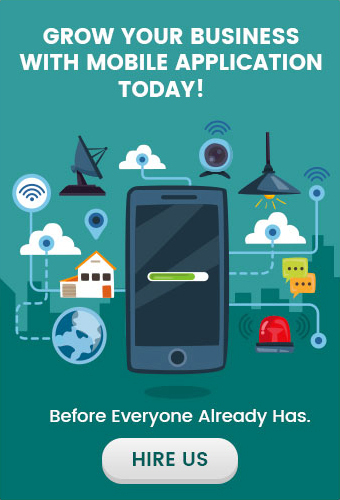 Are you excited to experience this new technology? Tell us about it, we are just a call away.